Meghan turned 25 on Saturday! Happy Birthday! 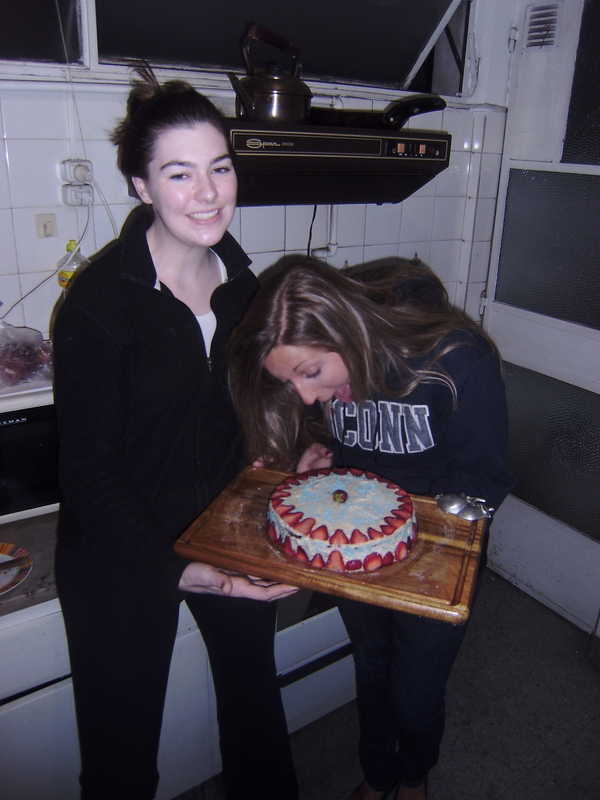 So of course, Laura and I made her a cake. 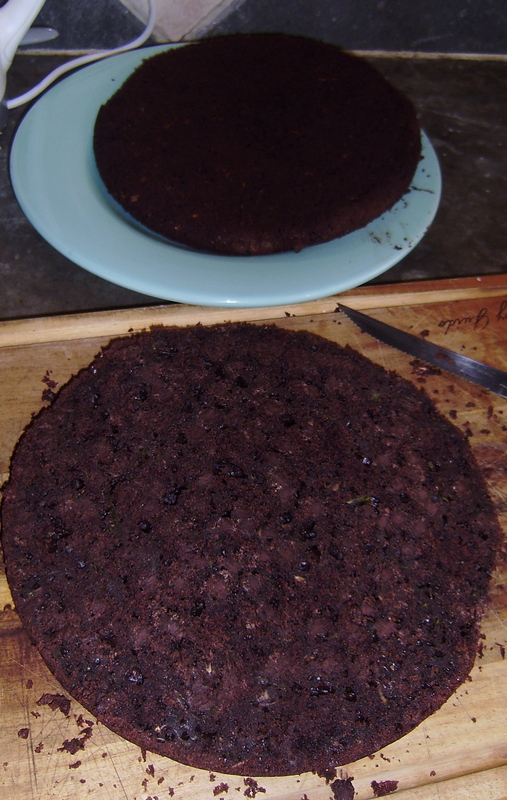 The cake was made from the exact same recipe as the Nesquik Zucchini Bread. Only it was baked in a cake dish, not a bread pan. After letting the cake cool, we cut it in half to be filled. I was adventerous and attempted to make my own buttercream frosting. After making it, I now know that I should never again eat it. It is literally butter and sugar. I guess that is no surprise with a name like buttercream. 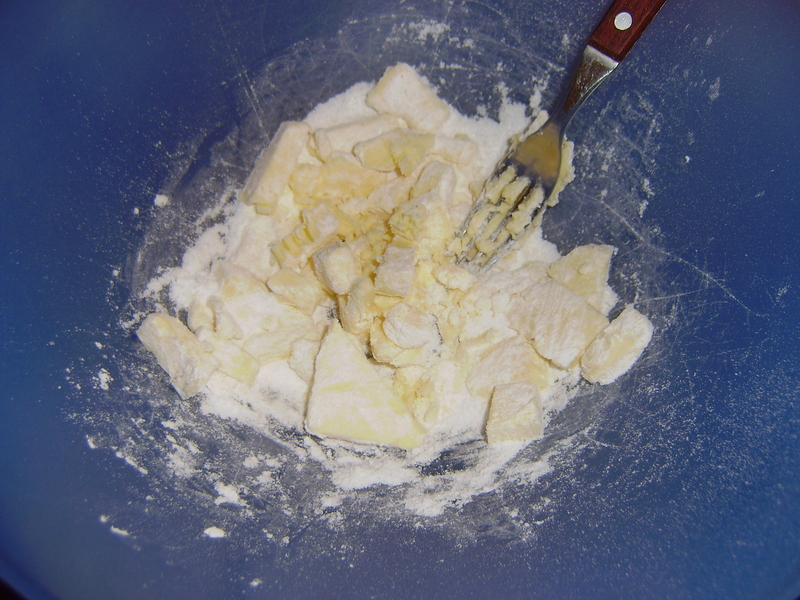 Unfortunately I don’t have an electric mixer … and I do not recommend trying to make this without one. 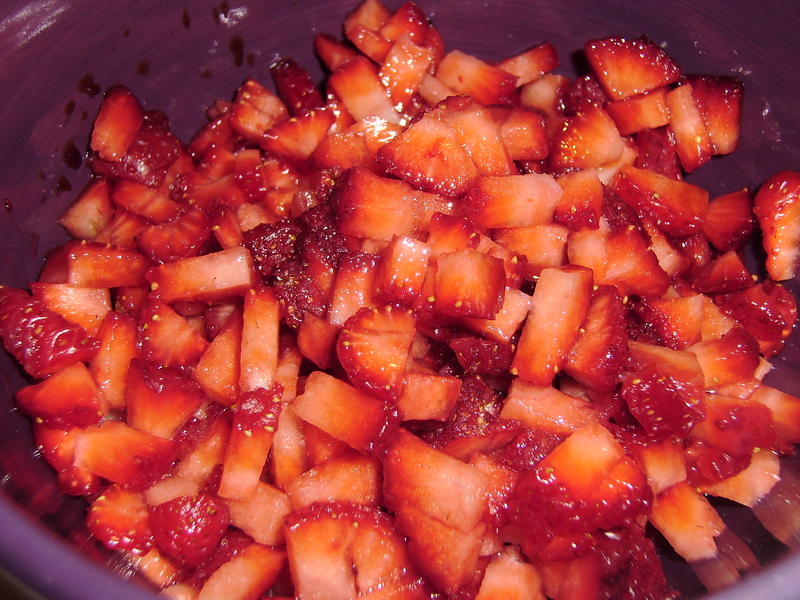 And since I love fruit, strawberry filling was the verdict. 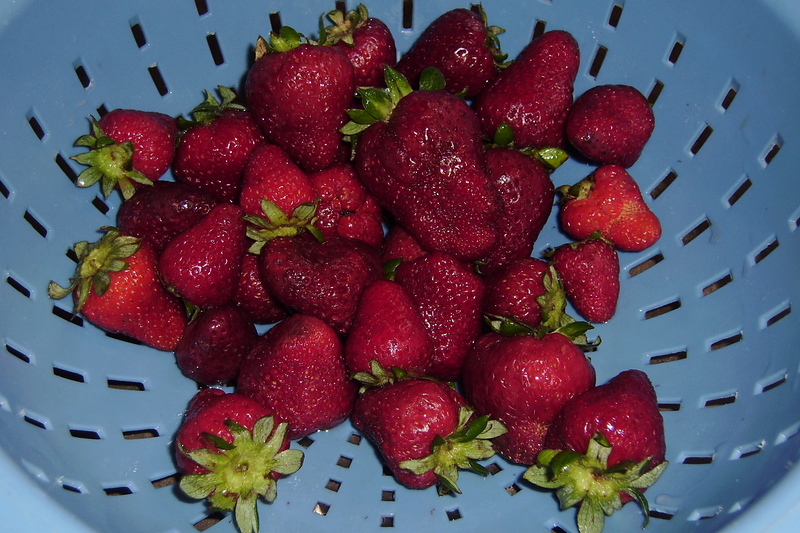 I diced the berries, and let them sit with a little vanilla until they were juicy. 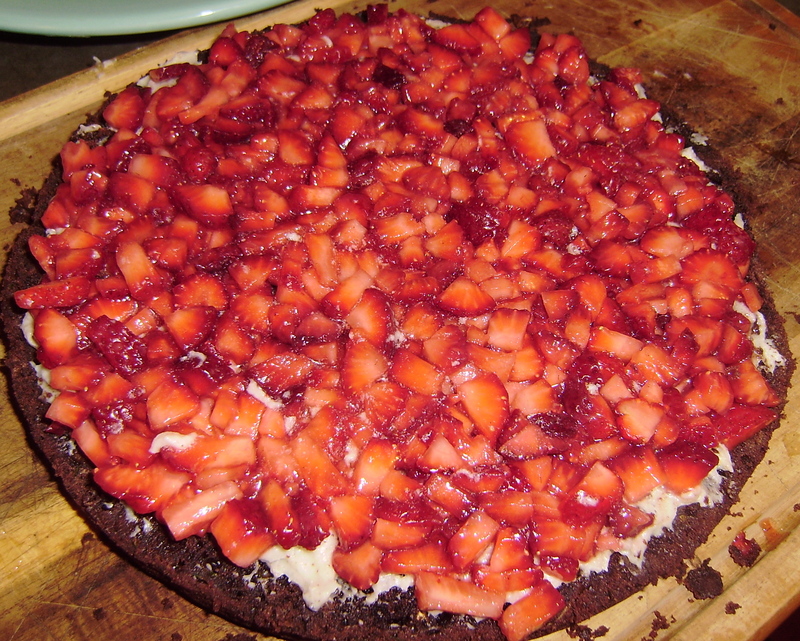 Then on the bottom layer of the cake I spread a thin layer of frosting and topped with the strawberries. 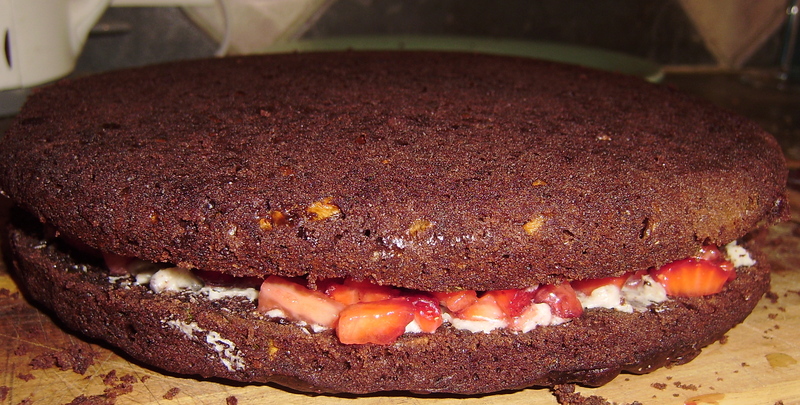 Then very carefully placed the other cake layer on top, creating a yummy cake sandwich. mmmmmmmmm…. 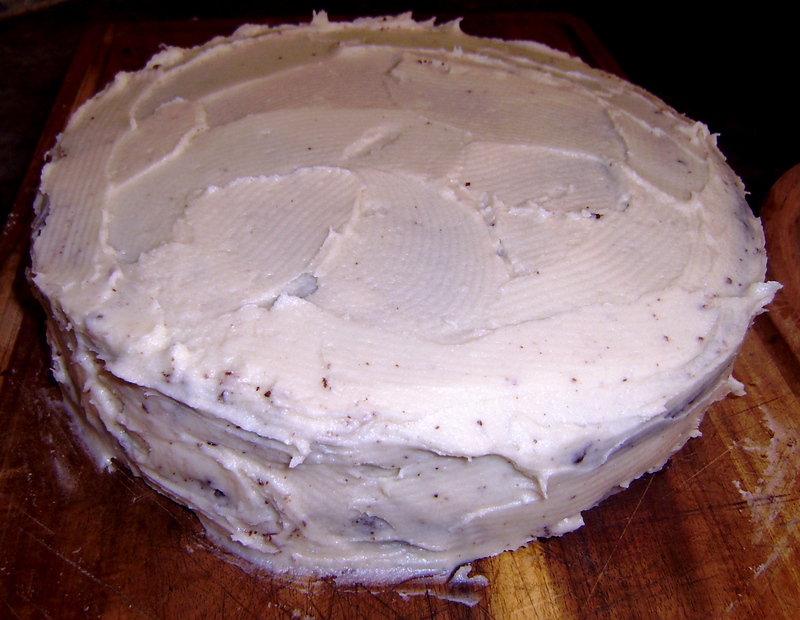 Then the hardest part – icing the cake. 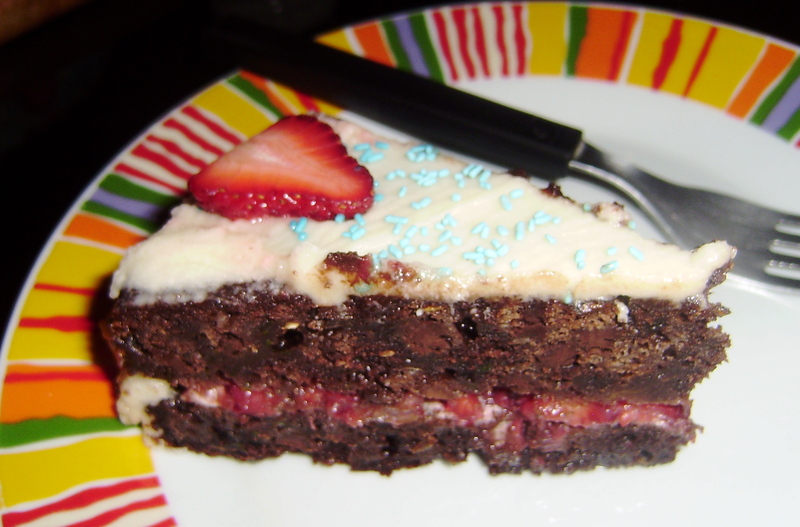 The icing was really sticky, making the task quite difficult, and the end result was unfortunately homely. Ew. So I had to cover it up with decorations. I used strawberry slices for the borders, and blue sprinkles were my final touch. 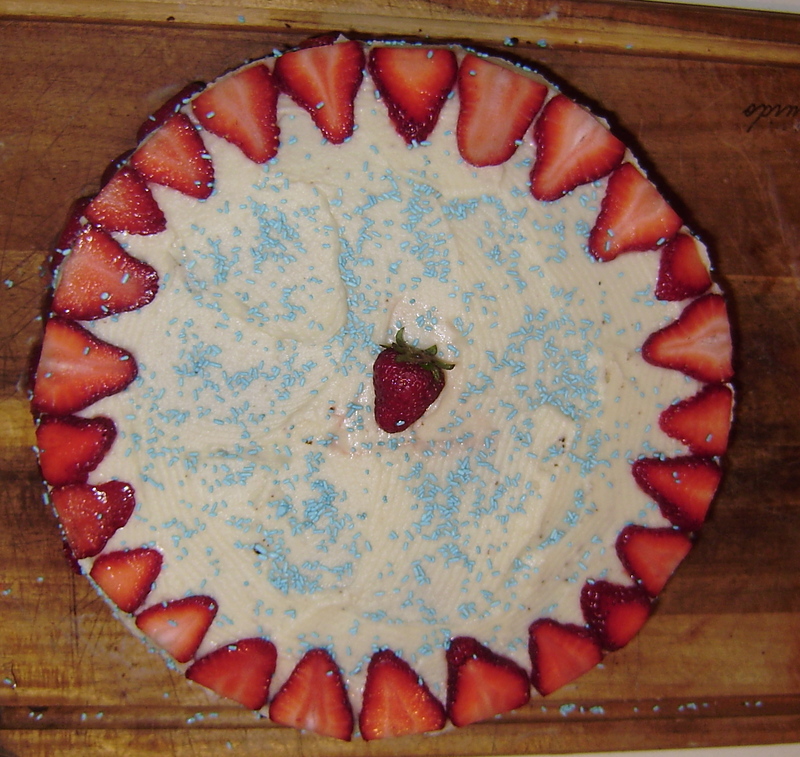 When I finished I realized that the cake was red white and blue. I guess I had my homeland on my mind during the weekend before elections. Or nostalgia for France. Either way, I think they liked it. In case you couldn’t tell, I’m really proud of my first cake made 100% from scratch! It was delicious. get on home and make me a pecan pie girl!